Ryan saw this at the Venetian in Vegas. I guess what age you are in vegas also stays there? I wonder what "age" you have to be to drink at any other place besides this "desk"
Hey Wow! 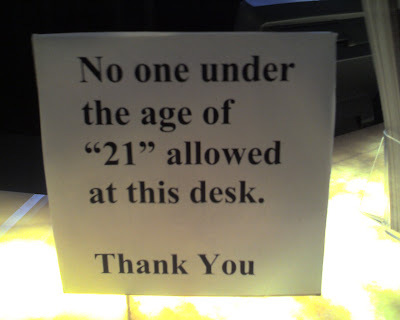 I didn't know there were special places only for those of us who are "21".